"DETOURS" is a travel series by The Hop Review. Being a weary traveler almost always calls for a reward in the form of a pint at the end of the day. Here, we will document those beer breaks–as we travel the U.S. and beyond–with quips, photographs and Q&As. Cheers, to the adventurous beer trekker. As the former on/off capital for various ruling Chinese dynasties, Nanjing is a city lingering with an imperial air. Roughly 3-4 hours by train from hustlin’ and bustlin’ Shanghai, Nanjing is a great alternative for travelers seeking a metropolitan city with a laid-back pace. Translated as "Southern Capital" (Nan - South, Jing - Capital), Nanjing is a historic city with plenty of culturally significant things to see and do. Make a stop at Sun Yatsen Mausoleum and see the one political figure that Chinese and Taiwanese nationals agree on. Peruse through ancient relics at the Nanjing Museum and be impressed with detailed and intricate imperial Chinese artwork. Visit The Memorial Hall of the Nanjing Massacre, a powerful yet gruesome exhibit of Japanese World War II atrocities and see how the city and its citizens has rebuilt itself from that tragic event. Take a boat cruise at night and relax as you wade through the massive, glowing Confucius Temple complex. 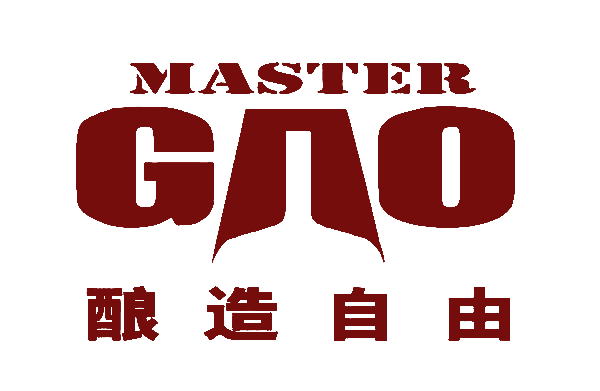 To wind down and digest all the sights, grab a local craft beer at Master Gao. With two locations in Nanjing, Master Gao was started by Gao Yan and he’s been a huge advocate for the emerging craft beer scene in China. As THR traveled throughout China, the Chinese breweries we’ve spoken to (Great Leap, Bionic Beer, Shangri-la, Boxing Cat) have all namechecked Master Gao. Adding to his influence, Gao also wrote the first Chinese book on home brewing in 2011 and is seen as a craft beer authority in China. With a small bar room interior and an adjacent outdoor biergarten, Master Gao’s Nanjing Pub offers a selection of rotating and core line-up of beers. From their flagship Baby IPA to their Jasmine Lager, Master Gao’s beers are brewed with Western-style influence but are tailored to a changing Chinese beer palate. Expect a standard brewpub selection of an IPA, Imperial IPA, Lager, Wheat, Porter and Stout as well as seasonal and rotating beers too, like the Heroic Water-Imperial River Pale Ale that was on-deck when we visited. Although Master Gao’s core line-up is available in bottles and draft at various bars and establishments throughout Nanjing, it’s preferable to drink straight from the source for freshness. We sampled just about every Master Gao beer on tap during our visit, but we drank several of the Baby IPA. Stylistically, it falls moreso under an English IPA rather than an American IPA with a focus on the caramel malt body and a faint citrus aroma. Overall, a drinkable and sessionable beer that’ll probably pair well with local Nanjing cuisine. Authored by contributing travel writer and graphic designer, Meng Yang with photographs by Tiffany Yang. You may have seen the pair over the years in Chicago hustling posters and t-shirts under the moniker KnowYourFlag.